HOW TO USE: Ask your doctor now for exact instructions on how to use your nitroglycerin and when to call for emergency medical help (911). Read the Patient Information Leaflet if available from your pharmacist before you start using nitroglycerin and each time you get a refill. If you have any questions, ask your doctor or pharmacist. Sit down before using this medication. Place 1 tablet under the tongue and allow it to dissolve as directed by your doctor. Do not chew or swallow the tablet. The dosage is based on your medical condition and response to treatment. If you are using this medication to prevent chest pain before physical activities, use it 5 to 10 minutes before the activity. If you are using this medication to relieve chest pain once it occurs, use it as soon as possible. If your chest pain has not improved or if it has worsened 5 minutes after you use this drug, call emergency medical help (911). After calling the emergency number, use another dose. Five minutes after the second dose, if you still have chest pain and the ambulance has not arrived, use a third dose. 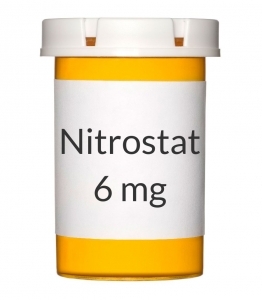 If your chest pain is not gone after 15 minutes and 3 doses of nitroglycerin, call emergency medical help (911) if you have not called already. Do not use more than 3 doses during an attack unless directed by your doctor. SIDE EFFECTS: Headache, dizziness, lightheadedness, nausea, flushing, and burning/tingling under the tongue may occur. If any of these effects persist or worsen, tell your doctor or pharmacist promptly. Headache is often a sign that this medication is working. Your doctor may recommend treating headaches with an over-the-counter pain reliever (such as acetaminophen, aspirin). If the headaches continue or become severe, tell your doctor promptly. To reduce the risk of dizziness and lightheadedness, get up slowly when rising from a sitting or lying position. Remember that your doctor has prescribed this medication because he or she has judged that the benefit to you is greater than the risk of side effects. Many people using this medication do not have serious side effects. Tell your doctor immediately if these unlikely but serious side effects occur: fainting, fast/irregular/pounding heartbeat. A very serious allergic reaction to this drug is rare. However, seek immediate medical attention if you notice any of the following symptoms of a serious allergic reaction: rash, itching/swelling (especially of the face/tongue/throat), severe dizziness, trouble breathing. This is not a complete list of possible side effects. If you notice other effects not listed above, contact your doctor or pharmacist. In the US - Call your doctor for medical advice about side effects. You may report side effects to FDA at 1-800-FDA-1088. In Canada - Call your doctor for medical advice about side effects. You may report side effects to Health Canada at 1-866-234-2345. STORAGE: Store at room temperature at 68-77 degrees F (20-25 degrees C) away from light, heat, and moisture. Do not store in the bathroom. Keep in the original glass bottle with the cap tightly closed. Ask your pharmacist how long this medication will continue to work properly after the bottle is opened for the first time. Keep all medicines away from children and pets. Do not flush medications down the toilet or pour them into a drain unless instructed to do so. Properly discard this product when it is expired or no longer needed. Consult your pharmacist or local waste disposal company for more details about how to safely discard your product.